With our travels to WonderCon this weekend, our huge sale online, and next week being our kids’ Spring Break from school (when we’ll be taking a few days off), TwoMorrows will be running behind on shipping the next few days. So please be patient, and place your order as early as possible over the next week. We’ll get ’em all out asap, honest! Get an extra 20% off this week only! That stands for “TwoMorrows Turns 20”, and it nets you a cool 20% off, in addition to our everyday 15% or more discount for online orders. The only things not included are subscriptions, bundles (already greatly reduced), and clearance items. But it ends SUNDAY at Midnight! 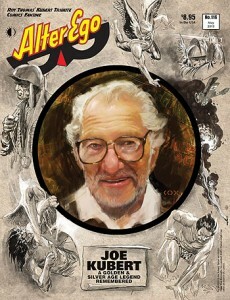 We got our copies of ALTER EGO #116 in a week early, and this one pays tribute to comics artist JOE KUBERT! There’s a quartet of interviews with Kubert on the 1940s-1970s career of the legendary artist (and often writer) of Hawkman, Tor, Enemy Ace, Sgt. Rock, Viking Prince, Tarzan, et al.! With added art by RUSS HEATH, NEAL ADAMS, MURPHY ANDERSON, MICHAEL KALUTA, SAM GLANZMAN, and others! Plus the usual great recurring features (FCA, Mr. Monster, Bill Schelly, and more), all edited up real purty by ROY THOMAS. We begin shipping copies today, and it’ll be in stores in the next 10 days. If you get it at your comics shop, use Diamond Order Code: JAN131395 to order. Download a FREE PDF preview HERE! Or order it from us HERE! Or save the hassle each month (you KNOW you want it!) and get a PRINT or DIGITAL SUBSCRIPTION right HERE! PLUGGED?IN! documents the experiences of comic book pros that work in the Video Game industry, offering invaluable tips for those thinking of venturing into the field, or anyone with a fascination for the inner workings of both comics and gaming. It features Superman scribe Elliot S! Maggin candidly talking about the early days at Atari, along with Jimmy Palmiotti (Ash, Jonah Hex), Chris Bachalo (Death: the High Cost of Living, Uncanny X-Men), Mike Deodato (Wonder Woman, Amazing Spider-Man), Zander Cannon (Top 10), Rick Remender (Fear Agent, X-Force), and others giving firsthand accounts of working on current generation video game hits like Dead Space, Prototype, Army of Two: 40th Day, Bulletstorm, and DC Universe Online! 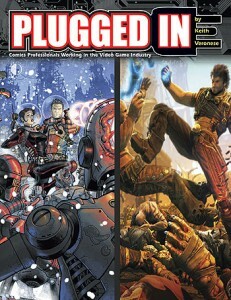 In addition to current comics professionals, author Keith Veronese conducts first-person conversations with artists and writers who made the leap to working in video games full-time, including an in-depth interview with Trent Kaniuga (CreeD) about his career at Blizzard Entertainment, working as one of the architects of the long awaited Diablo III! So whether you’re a noob or experienced gamer or comics fan, be sure to get Plugged In! Read a FREE preview at THIS LINK. 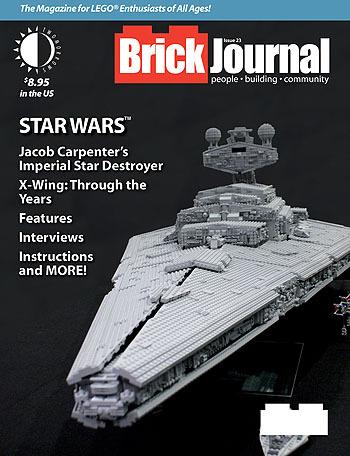 or the Digital Edition alone for only $5.95. PLUGGED IN! will be on sale in comic book stores on Wednesday, March 27. This entry was posted in TNT on 11 March 2013 by Mr. Morrow. 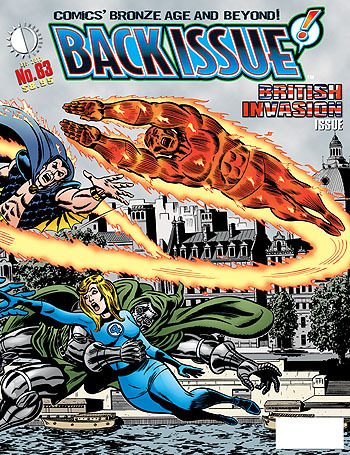 Back Issue #63, that is! The new issue, shipping today, watches the USA’s and UK’s comics worlds cross over in a “British Invasion” issue, highlighted by a colossal 25-inch long fold-out triptych cover by RON WILSON and DAVE HUNT, never before seen in the US! This issue features a history of Marvel Comics in the UK, appearances of the Beatles in comics, DC Comics’ British talent pool of the 1980s, and such classic and the history and behind-the-scenes secrets of such influential series as V for Vendetta, Excalibur, Marshal Law, Doctor Who, and a “Pro2Pro” interview with PETER MILLIGAN and BRENDAN McCARTHY. It showcases the talents of KAREN BERGER, BRIAN BOLLAND, ALAN DAVIS, DAVE GIBBONS, STAN LEE, DAVID LLOYD, ALAN MOORE, DEZ SKINN, and others—and loads of art originally produced for the UK market. Edited, as always, by the inimmimmmimmitable MICHAEL EURY. You can download a FREE PDF PREVIEW at THIS LINK. The PRINT EDITION (with FREE DIGITAL EDITION) or DIGITAL EDITION ONLY may be ordered at THIS LINK. BACK ISSUE #63 is in stores March 20, but it’s shipping TODAY directly from us. This entry was posted in TNT on 8 March 2013 by Mr. Morrow.